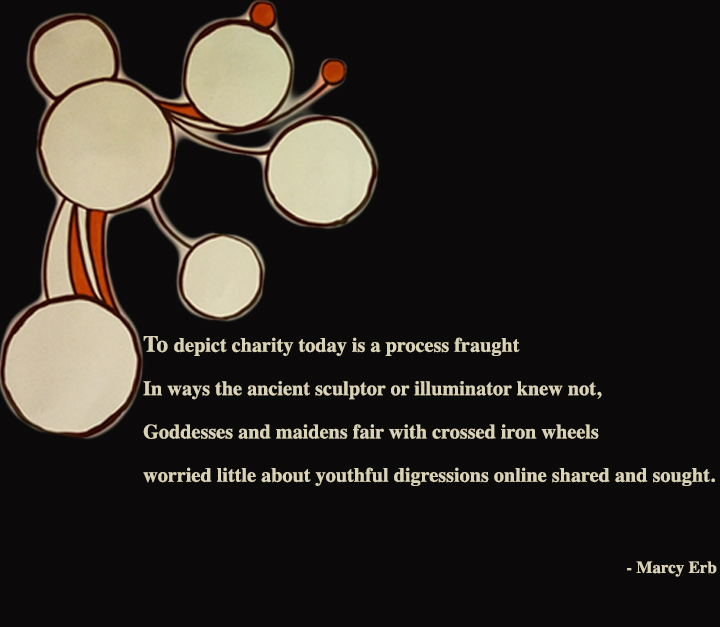 Maybe it was not wanting to let go of the seven sins and virtues theme we did all summer, but the poem on charity took a while to mature and be ready for posting. I did deviate from the assignment a tad – this poem is in the form of a ruba’i – a form derived from the Persian quatrain with the rhyme scheme aaba. In honor of All Hallows’ Eve, I call the accompanying illustration “Deconstructed Pumpkin.” Cheers!